24-hour forecast: Sunny with a few cloudy spells today and cloudy at times tonight. Showers or thunderstorms will be isolated, except for a few more inland this afternoon and over southern and some coastal areas tonight. General Outlook: For Monday and Monday night is for some cloudy spells with a few showers and isolated thunderstorms over most areas. Daily Tropical Weather Outlook: At 3:00am, Hurricane Maria was centered near 27.9N, 72.7W or 290mls ENE of Great Abaco Island, Bahamas. Hurricane Lee was centered near 31.8N, 50.1W or 860mls East of Bermuda. 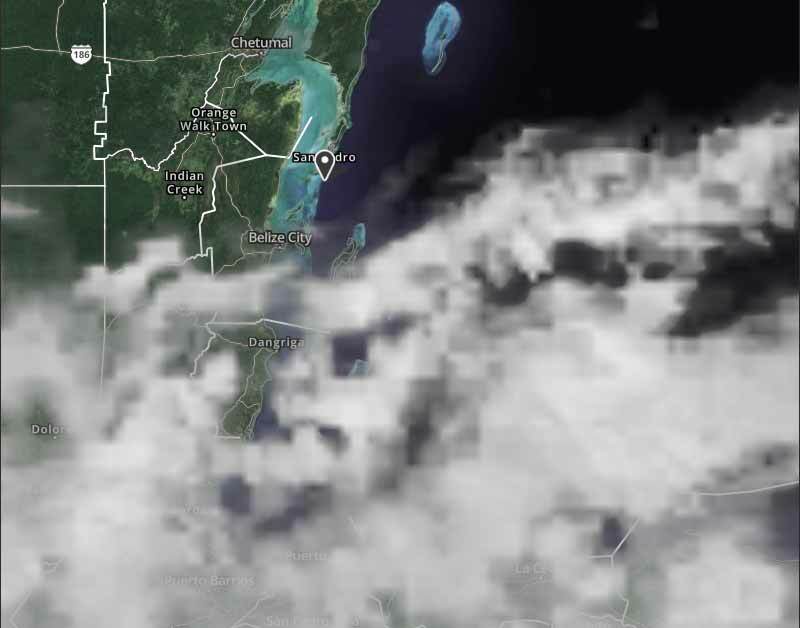 Presently, there is a lot of high level cloud over most of Belize, it is thinning and sun coming through. There is only small amounts of cloud in the easterly Caribbean wind, but that will increase later. There have been a few small rain showers around, mainly out at sea, these are drying out now. There is and ITCZ area developing in the mid Caribbean, that might bring rain to Belize in a few days time. Looks like today will be mainly sunny, with white clouds developing, small chance of a few rain showers. A lot of low level puffy cloud developing, partly due to the high level thin cloud. Little or no rain.